"Talk early talk often" is the advise that you should be hearing from every specialist related to elder life planning and care. You may have consulted with a financial planner, but it's not enough. Your parents have had long relationships with a lawyer, but it may not be enough. Their family doctor has become a friend, but it's still not enough. As your parents move into their elder years, there are new conversations that need to take place that require a wide breadth of expertise. Talk early talk often is the only way to be sure all aspects of their future plans are thoroughly covered. "Because of economic and demographic changes, as well as technological changes in health care [our parents] have existential decisions that our grandparents never had to face." -- Dr. Mary Pipher, author of Another Country: Navigating the Emotional Terrain of Our Elders. "...many [financial] advisers are unprepared to advise clients concerning these responsibilities." says one financial planner quoted in Financial Advisor Magazine. "The truth is, it requires a great deal of education and experience to do financial planning, and when you add caregiving on top of it, it's just that much more education and experience a planner has to have. We don't mint financial planners out of school to do this type of planning." 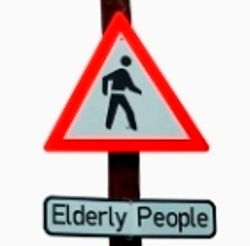 Chris Cooper, a planner in Toledo, Ohio,who also has a background in gerontology and nursing as owner of Elder Care Advocates "That's why I advise the multidisciplinary approach. Planners may not be versed in these areas, and may easily give the wrong advice or approach it from too narrow a perspective." So many families have a history of not talking about "private" matters. Depending on your family, you may have a longer list of what is considered out of bounds. 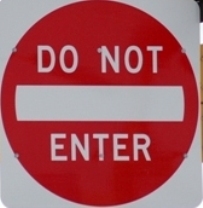 Given today's financial realities, it's time to take down the imaginary "Do Not Enter" sign about sensitive subjects. Talk early talk often, starting now. Yes -- you now have to talk about your parents' money, their health, their plans for end of life and after death. No -- you are not expected to be an expert in all these things. But neither are the professionals expert in all the areas that your parents may require. You need to work with your parents so that the information from all of these different fields can be coordinated. You'll need to start you preparations now so that you know what to look for when picking specialists. Start your research now so that you'll know what to ask when you get there. And you'll know how to leverage the information that each provides so that you are getting the best comprehensive plan for your parent's future. Talk early talk often.